Your hands are always speaking, even from your pockets, so you may as well take them out and put ‘em to good use. Because they can say some pretty great things about you! In a previous article, we discussed glamorous traits that any seducer can learn and adopt to boost his odds of creating a strong first impression with the women he meets. Now, anyone who’s been a part of the seduction community for a while, or a regular reader here at Girls Chase will know how important first impressions are for dating success. A powerful first impression will make you memorable enough to stick in her mind – so she’ll want to respond to your ice-breaker text and solidify your chance of meeting up with her again for a date. A good first impression can also leverage the excitement generated by your initial impact on her to grow into a deep emotional and physical connection with you. It will enable the two of you to move at breakneck speeds, propelling you toward burning passion and sexual intimacy later that evening. To put it simply, first impressions open various doors in seduction – and specific doors you want to open. In the previous article where we dissected the concept of glamour, I briefly touched on the captivating power of hand gestures. In this article, we’ll be following up on this aspect of glamour. 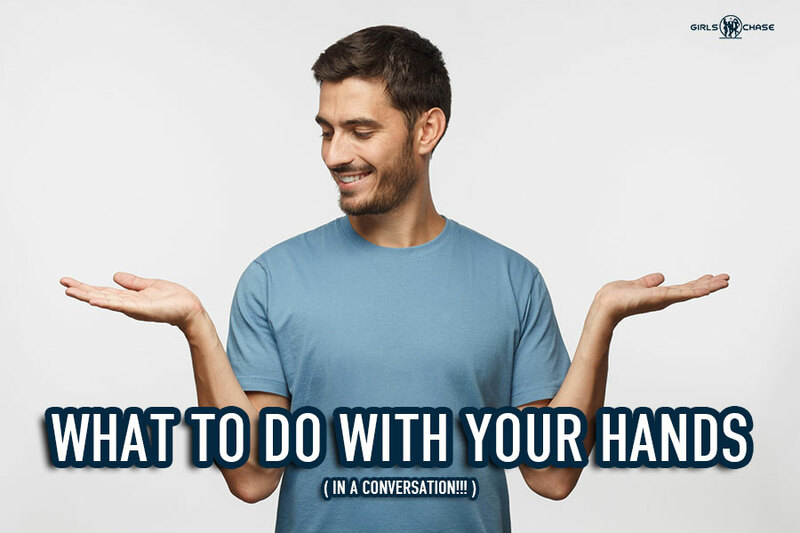 Let’s take a closer look at how you can use your hands to take your first impressions, emotional connections, and of course, your ability to captivate her to a completely new level of persuasive power.